These three artists have very different backgrounds and this feed their creation as a unit. 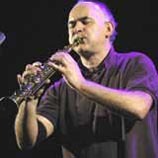 Michel Doneda has been in free improvisation for almost thirty years. His playing transgresses regular saxophone technique. A never-ending experimentation to refine his knowledge of this instrument. As a musician he is always searching for new grounds in his music and in meetings with other artists whatever their art. 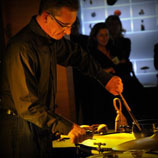 Guillaume Blaise is a former member of the Percussions de Strasbourg, and the timpani player for La Grande Ecurie et La Chambre du Roy orchestra. He has a classical training. His instrumental gesture and his sounds are built upon this rigorous work. Pierre-Olivier Boulant has a scientific background, but his playing deals with the loss of control. 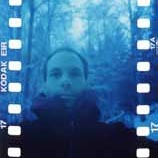 He has built his own instruments : pinhole cameras, projection desk. But the unpredictable interferes in each pinhole shot and in the uncertain reactivity of his projection system - a mix of state of the art digital technologies and manual fiddling.